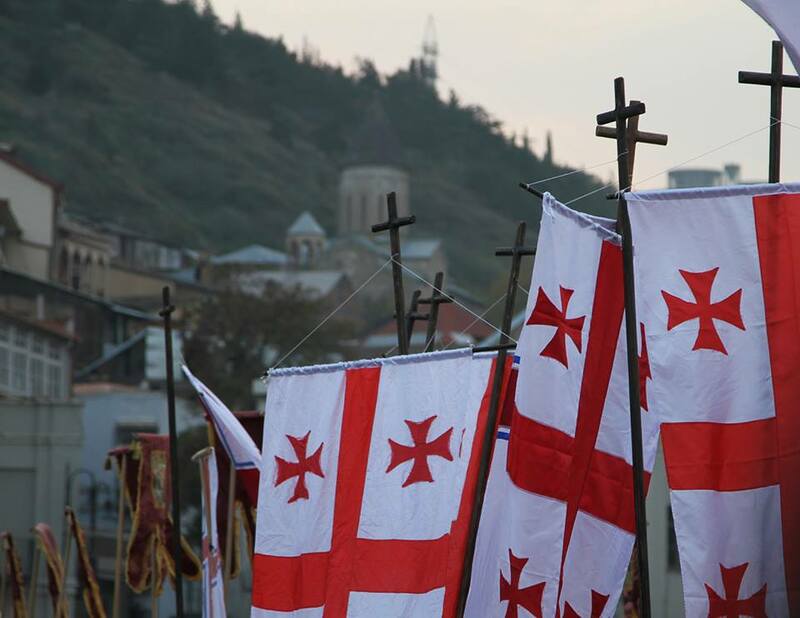 The Georgian Orthodox Church commemorates the Hundred Thousand Martyrs (Georgian: ასი ათასი მოწამე) on 13 November each year. The Martyrs were put to death by Sultan Jalal al-Din of Khwarazm for not renouncing Christianity following his capture of the Georgian capital of Tbilisi in 1226. 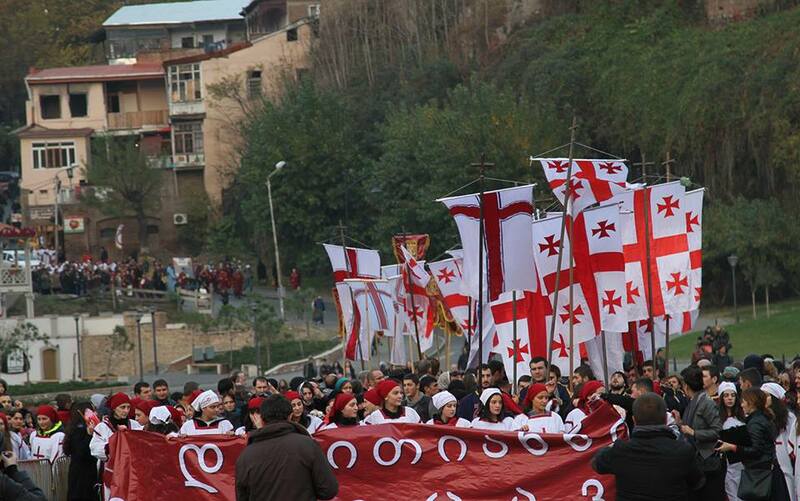 Procession in Tbilisi commemorating the Hundred Thousand Martyrs. The Metekhi Bridge is traditionally considered to have been the site of the executions. 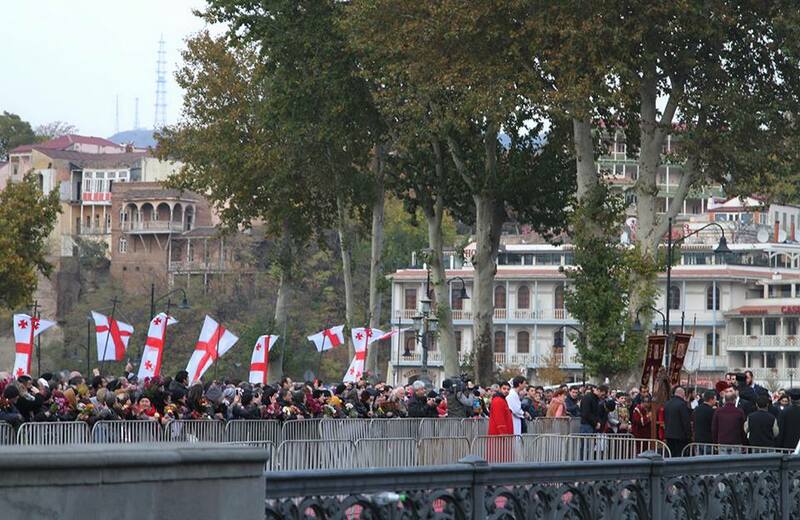 Procession on Metekhi Bridge in Tbilisi commemorating the Hundred Thousand Martyrs. 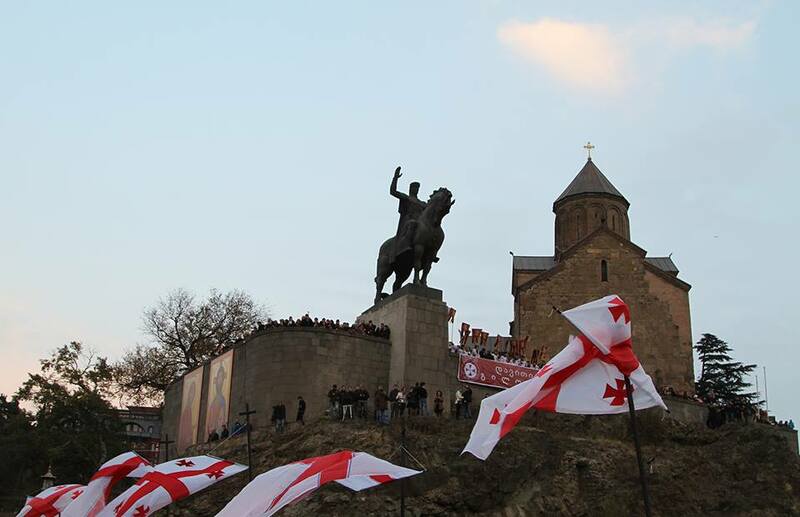 Metekhi Church in Tbilisi on the day of the Hundred Thousand Martyrs. 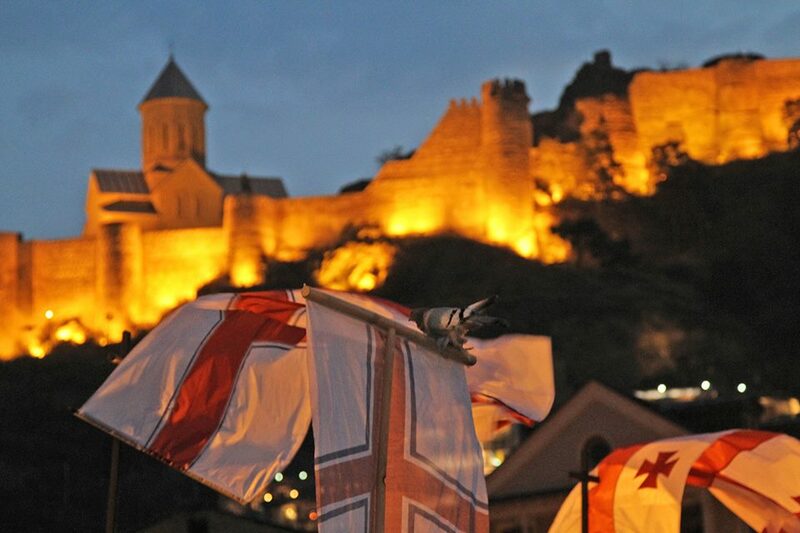 Narikala Castle in Tbilisi on the day of the Hundred Thousand Martyrs. 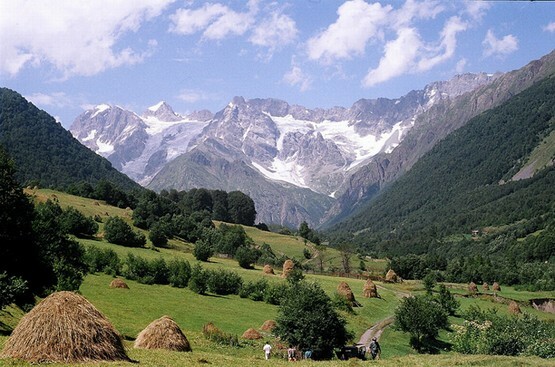 Photos courtesy Of Tbilisi City Hall.